The seminal Supreme Court case addressing patent eligibility for composition of matter claims in the Life Sciences space is Myriad. See Assoc.’n for Molecular Pathology v. Myriad Genetics, Inc., 569 U.S. 576 (2013). Certain of the patent claims at issue in Myriad were drawn to “an isolated DNA coding for a BRCA1 polypeptide, which has the amino acid sequence set forth in SEQ ID No. 2.” Id. at 584 (internal quotations omitted). The Court held that such claims were drawn to patent ineligible subject matter. Id. at 591-94. The Court reasoned as follows: “The location and order of the nucleotides [comprising the BRCA1 and BRCA2 genes] existed in nature before Myriad found them. … Myriad’s principal contribution was uncovering the precise location and genetic sequence of the BRCA1 and BRCA2 genes … separating that gene from its surrounding genetic material is not an act of invention.” Id. at 590-91. The Court, however, found certain other of the claims at issue, directed to BRCA cDNA, to constitute patent eligible subject matter because, according to the Court, “creation of a cDNA sequence from mRNA results in an exons-only molecule that is not naturally occurring.” Id. at 594-95. The Court in Myriad, in connection with its patent ineligibility holding, expressly pointed out that the claims were drawn to compositions of matter and not methods. On this point, the Court comments (albeit in what was obviously dicta) that had “Myriad created an innovative method of manipulating genes while searching for the BRCA1 and BRCA2 genes, it could have sought a method patent … [b]ut [that] the processes used by Myriad to isolate DNA were well understood by geneticists at the time of Myriad’s patents.” Id. at 595-96. In related litigation involving the same general technology but different patents, the Federal Circuit, the following year, analyzed patent eligibility for claims directed to “[a] pair of single-stranded DNA primers for determination of a nucleotide sequence of a BRCA1 gene by a polymerase chain reaction … wherein the use of said primers in a polymerase chain reaction results in the synthesis of DNA having all or part of the sequence of the BRCA1 gene.” In re BRCA1- and BRCA2-Based Hereditary Cancer Test Patent Litig., 774 F.3d 755, 759 (Fed. Cir. 2014). The court held that the claims were patent-ineligible, adopting reasoning analogous to that applied by the Supreme Court in Myriad. Id. at 759-61. Specifically, the court opined that primers are “necessarily … structurally identical to the ends of DNA strands found in nature.” Id. at 760. The court further noted that the claims at issue were not saved by virtue of the fact that single-stranded DNA cannot be found in nature because, according to the court, “separating [DNA] from its surrounding genetic material is not an act of invention.” Id. 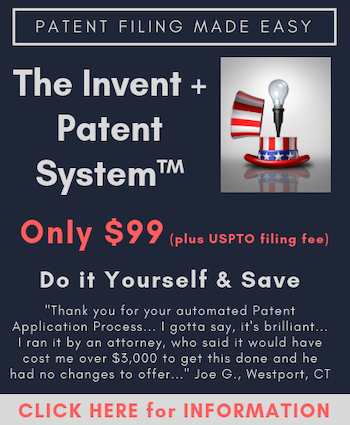 The seminal Supreme Court case addressing patent eligibility for method claims is Mayo. Mayo Collaborative Servs. v. Prometheus Labs., Inc., 566 U.S. 66 (2012). The claims at issue in Mayo were directed to methods of optimizing therapeutic efficacy for treatment of an immune-mediated gastrointestinal disorder comprising: (a) administering the drug 6-thioguanine to a subject with such disorder; and b) determining the level of 6-thioguanine in said subject; and further recited that where the level of 6-thioguanine is less than about 230 pmol per 8×108 red blood cells, this indicates a need to increase the amount of the drug being administered and where the level is greater than about 400 pmol per 8×108 red blood cells, this indicates a need to decrease the amount being administered. Id. at 74-75. The Court held that the claims at issue were directed to patent ineligible subject matter; specifically, a law of nature. Id. at 77. The Court reasoned as follows: “[The patent claims at issue] set forth laws of nature—namely, relationships between concentrations of certain metabolites in the blood and the likelihood that a dosage of a thiopurine drug will prove ineffective or cause harm. … The relation is a consequence of the ways in which thiopurine compounds are metabolized by the body – entirely natural processes.” Id. The Court proceeded on to step two of the Alice/Mayo analysis and examined whether “the patent claims add enough to their statements of the correlations to allow the processes they describe to qualify as patent-eligible processes that apply natural laws[. ]” Id. The Court held that the claims at issue failed to meet this standard as well. On this point, the Court held as follows: “[T]he claims inform a relevant audience about certain laws of nature; any additional steps consist of well-understood, routine, conventional activity already engaged in by the scientific community … For these reasons we believe that the steps are not sufficient to transform unpatentable natural correlations into patentable applications of those regularities.” Id. at 79-80. The Court also addressed preemption considerations, noting that the patent claims at issue “tie up the doctor’s subsequent treatment decision whether the treatment does, or does not, change in light of the inference he has drawn using the correlations … [and] threaten to inhibit the development of more refined treatment recommendations ….” Id. at 86-87. In the same In re BRCA-1 and BRCA-2 Federal Circuit opinion discussed above in connection with composition of matter claims, the court also analyzed patent eligibility for claims drawn to methods for screening germline of a human subject for an alteration of the BRCA1 gene comprising comparing germline sequence from a subject’s BRCA1 DNA (or other genetic material) to wild-type using a hybridization method (claim 7) or an amplification and sequencing technique (claim 8). In re BRCA1- and BRCA2-Based Hereditary Cancer Test Patent Litig., 774 F.3d at 761. The court held that the claims at issue “are directed to the patent-ineligible abstract idea of comparing BRCA sequences and determining the existence of alterations … [by] merely comparing the patient’s gene with the wild-type and identifying the differences that arise.” Id. at 763. The court further opined that “allowing a patent on the comparison step could impede a great swath of research relating to the BRCA genes, and it is antithetical to the patent laws to allow these basic building blocks of scientific research to be monopolized.” Id. at 764. Under step two of the Mayo/Alice framework, the court held that the “non-patent-ineligible elements of claims 7 and 8 do not add enough to make the claims as a whole patent-eligible … [because such] elements … set forth well-understood, routine and conventional activity engaged in by scientists at the time….” Id. (internal citations and quotations omitted). A number of other Federal Circuit opinions reached similar outcomes. For example, in Ariosa, the court invalidated claims drawn to methods for detecting a paternally inherited nucleic acid of fetal origin performed on a maternal serum or plasma sample from a pregnant female comprising amplifying a paternally-inherited nucleic acid from the serum or plasma sample and detecting the presence of a paternally inherited nucleic acid of fetal origin in the sample. Ariosa Diagnostics, Inc. v. Sequenom, Inc., 788 F.3d 1371, 1374, 1376 (Fed. Cir. 2015). The court held that the claims were based upon a natural phenomenon: paternally-inherited cffDNA taken from a female. Id. at 1376. The court further held that “[u]sing methods like PCR to amplify and detect cffDNA was well-understood, routine, and conventional activity … [and, therefore, the claimed methods are] not new and useful.” The court continued, “[t]he only subject matter new and useful as of the date of the application was the discovery of the presence of cffDNA in maternal plasma or serum.” Id. at 1377. In denying defendant-appellant’s petition for rehearing en banc, Judge Lourie authored a concurrence agreeing that the panel reached the correct decision under governing Supreme Court precedent. Ariosa Diagnostics, Inc. v. Sequenom, Inc., 809 F.3d 1282 (Fed. Cir. 2015). Judge Lourie takes issues with such precedent, however, commenting as follows: “[I]t is undisputed that before this invention, the amplification and detection of cffDNA from maternal blood, and the use of these methods for prenatal diagnoses, were not routine and conventional. But applying Mayo, we are unfortunately obliged to divorce the additional steps from the asserted natural phenomenon ….” Id. at 1286. In Genetic Techs., the Federal Circuit analyzed the patent eligibility of claims drawn to “method[s] for detection of at least one coding region allele of a multi-allelic genetic locus” performed by amplifying genomic DNA and analyzing the amplified DNA sequence. Genetic Techs. v. Merial LLC, 818 F.3d 1369, 1372 (Fed. Cir. 2016). The court held that such claims were directed to a patent ineligible natural phenomenon and that the method steps were “indisputably well-known, routine, and conventional.” Id. at 1378. In reaching its decision, the court relied heavily on Ariosa, stating, for example, the following: “The mental process of ‘performing a prenatal diagnosis’ based on the DNA detected is directly comparable to claim 1’s mental process of detecting an allele. The addition of this mental process step to the routine and conventional physical activity of amplification and analysis of DNA did not distinguish claims 21 and 25, which were invalidated….” Id. at 1379. In Cleveland Clinic, the Federal Circuit held that claims directed to “method[s] of assessing a test subject’s risk of having atherosclerotic cardiovascular disease,” comprising comparing levels of myeloperoxidase (“MPO”) in a bodily sample from a test subject with levels of MPO in a comparable sample from a control subject not having the disease were patent ineligible. Cleveland Clinic Found. v. True Health Diagnostics, 859 F.3d 1352, 1356, 1363 (Fed. Cir. 2017). The court reasoned that the patent claims at issue were directed to the “relation between cardiovascular disease and heightened MPO levels that exists in principle apart from human action [and, therefore,] are directed to a patent-ineligible law of nature.” Id. at 1361 (internal citations and quotations omitted). The court further held, under Mayo/Alice step 2, that “[t]he process steps here merely tell those interested in the subject about the correlations that the researchers discovered….” Id. at 1362 (internal quotations and citations omitted). In CellzDirect, by contrast, the Federal Circuit held the method claims at issue to be directed to patent eligible subject matter where such claims were drawn, generally, to “an improved process of preserving hepatocytes … compris[ing] (A) subjecting previously frozen and thawed cells to density gradient fractionation to separate viable cells from non-viable ones; (B) recovering the viable cells; and (C) refreezing the viable cells.” Rapid Litig. Management Ltd. V. CellzDirect, Inc., 827 F.3d 1042, 1045 (Fed. Cir. 2016). The court held that the claims at issue did not recite merely the ability of hepatocytes to survive multiple freeze-thaw cycles but rather a new and improved technique based on incorporating two successive freeze-thaw cycles. Id. at 1051-52. On this point, the court noted that while “[t]he individual steps of freezing and thawing were well known … a process of preserving hepatocytes by repeating those steps was itself far from routine and conventional.” Id. at 1051. Most recently, in Vanda Pharms., the Federal Circuit analyzed the patent eligibility of claims drawn to methods for treating a patient with iloperidone comprising performing a genotyping assay to determine if the patient has a CYP2D6 poor metabolizer genotype and, depending on the outcome of that assay, administering a dose of the drug in one of two different ranges in order to minimize the risk of QTc prolongation. Vanda Pharms., Inc. v. West-Ward Pharms. Int’l Ltd., 887 F.3d 1117, 1121 (Fed. Cir. 2018). The court held that the claims were directed to patent eligible subject matter. Id. at 1136. The court based its holding on the fact that the claims at issue recite specific dosages. Id. The court noted that “[i]n contrast … the claim in Mayo stated that the metabolite level in blood simply ‘indicates’ a need to increase or decrease dosage, without prescribing a specific dosage regimen or other added steps to take as a result of that indication.” Id. at 1135. The court in Vanda continued that the claims at issue “recite more than the natural relationship between CYP2D6 metabolizer genotype and the risk of QTc prolongation … they recite a [specific] method of treating patients based on this relationship ….” Id. at 1136. The Federal Circuit’s opinion in Vanda seems to be at odds to some degree with the Supreme Court’s earlier opinion in Mayo. As noted, Judge Lourie observed in his concurring opinion denying defendant-appellant’s petition for rehearing en banc in Ariosa, that “applying Mayo, we are unfortunately obliged to divorce the additional steps from the asserted natural phenomenon.” Ariosa, 809 F.3d at 1286. In Vanda, if the natural phenomenon was divorced from the modest method steps recited in the claim, it seems that the claims may well have been held invalid under § 101. In Vanda, the Federal Circuit appears to have afforded itself the latitude to arrive at its holding by viewing Mayo as based on abstractness and finding that the dosage limitations recited in the claims at issue in Vanda made the claims sufficiently more concrete to avoid the § 101 holding. The holding in Mayo, however, was in fact couched in terms of a natural phenomenon; and, when this is taken into consideration, the fact that dosage limitations were recited would not seem to be grounds for distinguishing Mayo. It may be that the Federal Circuit in Vanda viewed Mayo as concerned with abstractness in order to avoid both having to find the claims at issue invalid for patent ineligibility as well as the substantial potential negative repercussions such a holding would have for method of treatment claims generally given that, as a class, such claims typically relate to some sort of natural phenomenon. As reflected in the case law discussed above, the current governing law with respect to patent eligibility for composition of matter patent claims relating to Life Sciences technology is that such claims are patent eligible if and only if the subject matter, as claimed, cannot be found in nature. While there is some degree of ambiguity as to the current state of the law of patent eligibility as applied to Life Sciences-related method claims, one fair interpretation is that, where such claims are directed to a natural phenomenon, a law of nature, and/or an abstract idea, they must recite elements sufficiently concrete and novel/nonobvious in order to avoid invalidation under § 101 (consistent with Mayo/Alice jurisprudence generally); though under Vanda, there appears to be a judicially-created safe harbor for method of treatment patent claims with respect to the natural phenomenon/law of nature aspects of step one of the Mayo/Alice framework. Pardon my correction of some elementary misunderstandings in this article. In Myriad, BRCA1 did not qualify as a composition of matter. Quoting the MPEP: “A composition of matter is a ‘combination of two or more substances and includes all composite articles.”’Digitech, 758 F.3d at 1348-49, 111 USPQ2d at 1719. As isolated BRCA1 is part of a longer sequence of genetic material which has been notionally cut and then isolated, but does not involve any other substance, it plainly does not qualify under this category. The remark that the discovery, by itself, does not render the BRCA genes “new . . . composition[s] of matter,” §101, that are patent eligible was per incuriam, and Justice Thomas ought to have referred to “manufacture”. If eligible at all, isolated BRCA1 would be as a manufacture. In order to understand that category in relation to natural products it is necessary to become thoroughly familiar with Hartranft v. Wiegmann121 U. S. 609, 121 U. S. 615 (1887) and the various examples given in that case. It was cited both in Chakrabarty and in Myriad. The take away message is that an article does not become a manufacture simply on change of form or on isolation from impurities But such a change suffices if accompanied by the additional reason of new utility. The key is difference + new utility. There was no sufficient new utility associated with isolated BRCA1 that would have justified eligibility, especially since the claim read onto a single isolated nucleotide strand, and no more. This line of reasoning is strongly supported by the words “merely because” or “simply because” which occur at the beginning and end of the Thomas opinion. The reason the Mayo case failed was that the two novel features were in an ineligible category, being mere information or instructions but nothing more and did not contribute a transformative character to the claimed process. if the claims had been directed to a method of treating patients with thiopurine drugs the result would have been otherwise. It is very notable that the Mayo court was concerned not to upset the framework for natural product patenting and method of administration claims generally in the pharmaceutical industry because that would have had far-reaching repercussions. Would the patent on streptomycin have been held valid on some of the more far-reaching interpretations put forward in the aftermath. Any reason(s) the Vanda claiming approach would not be available for other technologies / arts, including the computing / software tech / arts? Thank you for your question. Method/process claims structured as (1) step A; followed by (2) step B1 or step B2, depending on the outcome of step A, are common across many different technologies, including computer software.